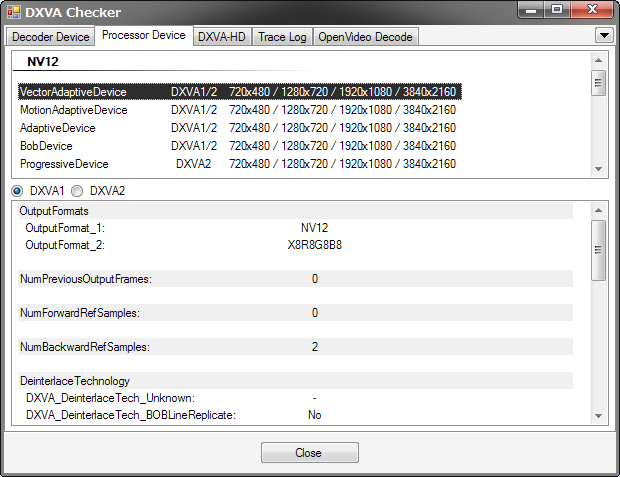 DXVA Checker allows you to check the status of the Processor Device and Decoder Device that can be used with your GPU. 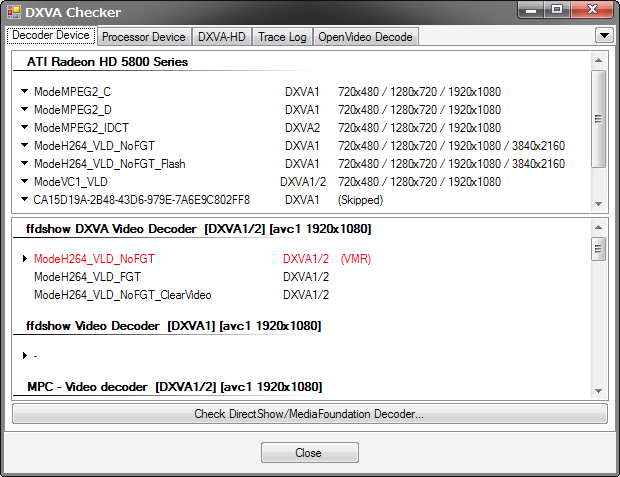 It can also list the supported modes and usage conditions of your DirectShow/Media Foundation decoder. 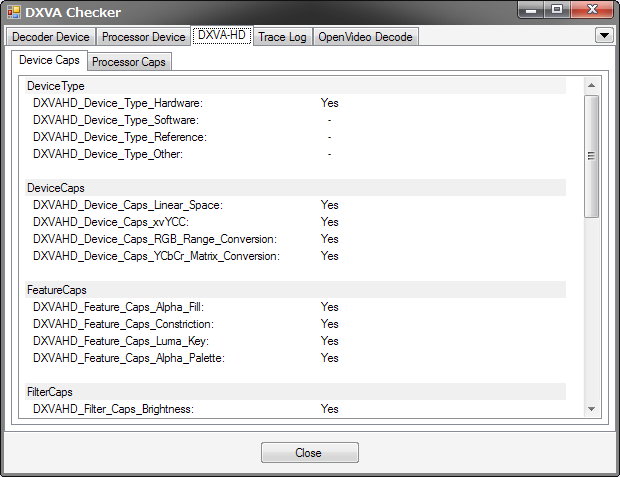 It can also produce a trace log allowing you to check the usage condition of DXVA within other applications. 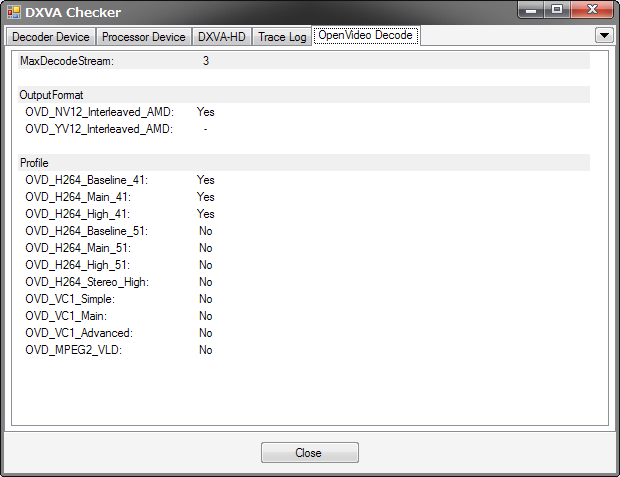 ATI/AMD, Nvidia and Intel GPUs are all supported. 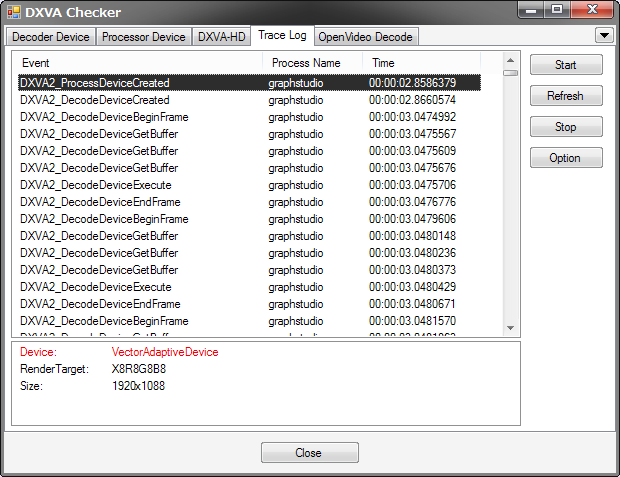 Microsoft .NET Framework 2.0 and Microsoft Visual C++ 2008 SP1 Runtime are required (download links available on the official website).